It is designed to be used in harsh and noisy environment, so the hardware is manufactured with wide power input range (10 ~ 30 VDC), isolated power input and can operate under wide temperature (-25 ~ +75°C). There are more than 50 I/O modules supported with the unit, including analog input/output, digital input/output, DI counter modules. To simplify installation and maintenance of I/O modules, it provides many useful features, such as: auto configuration, LED indicators for fault detection, dual watchdog to keep alive, programmable power on and safe values for safety. Modbus is a very wide known protocol in the industrial manufacturing and environment monitoring fields. 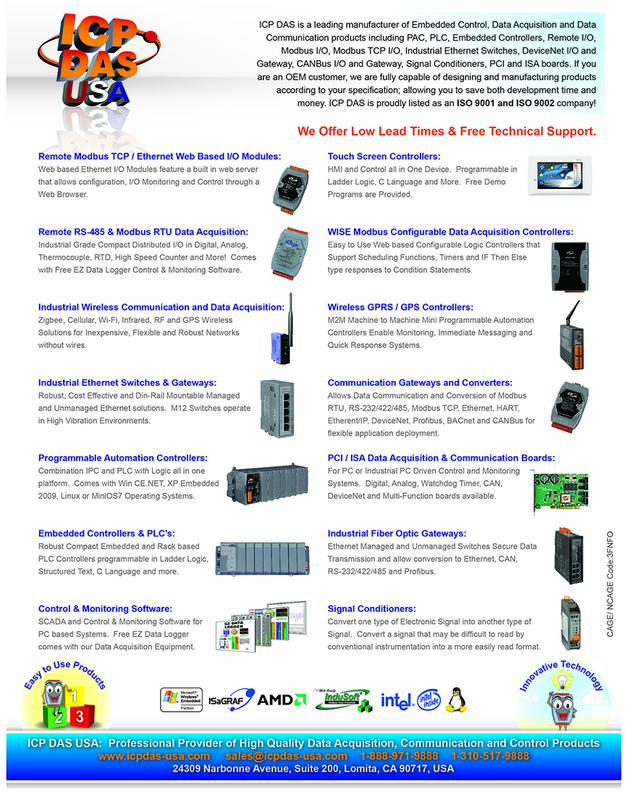 Many SCADA software, HMI and PLC has a built in driver to support Modbus devices. We also provide SDK on different platforms, such as Windows XP, Window CE 5.0/6.0, Linux, MiniOS7. 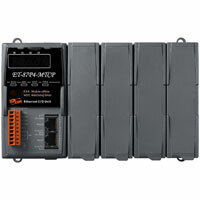 Therefore, it is very easy to integrate remote I/O to customer’s applications.